We are the independent national accounting standard-setter. We are a key player in the international standard-setting arena. We are a strong advocate of financial reporting that reflects the economics of business transactions. Our standard-setting process is open and consultative. 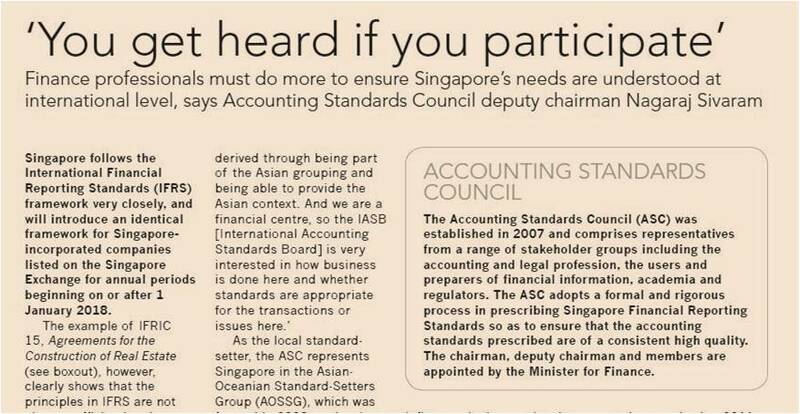 ASC issues Singapore Financial Reporting Standards (International). ASC issues Q&As on full IFRS convergence to Singapore companies listed on SGX. ASC issues SFRS(I) 17 Insurance Contracts and FRS 117 Insurance Contracts. ASC invites public comment on various exposure drafts. 'You get heard if you participate' – ACCA's interview with ASC Deputy Chairman. 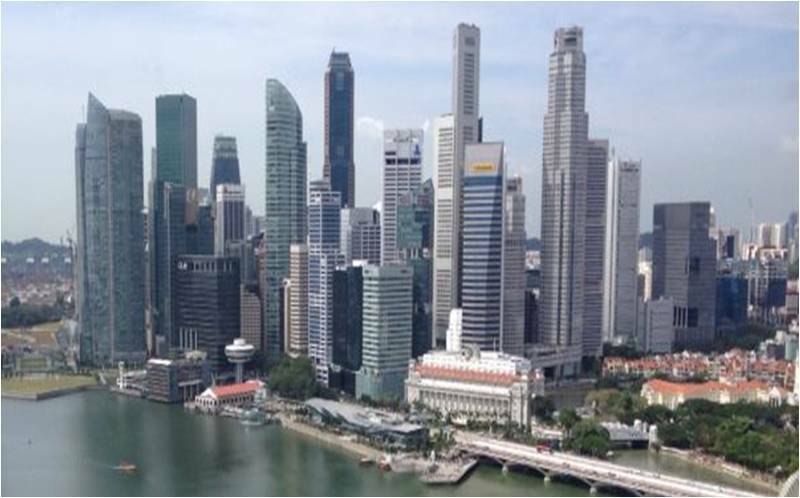 ASC hosted the 10th Annual Meeting of Asian-Oceanian Standard-Setters Group in Singapore. ASC issues Amendments to SFRS(I)s and FRSs on Definition of a Business. ASC issues Amendments to SFRS(I)s and FRSs on Definition of Material. ASC publishes 2019 Volumes of SFRS(I)s and FRSs. ASC issues revised SFRS(I) and FRS Conceptual Framework for Financial Reporting and related Amendments. 11 Mar 2019 - ASC issues Amendments to SFRS(I)s and FRSs on Definition of a Business. 11 Mar 2019 - ASC issues Amendments to SFRS(I)s and FRSs on Definition of Material. 30 Jan 2019 - ASC publishes 2019 Volumes of SFRS(I)s and FRSs to be applied for annual reporting period beginning on 1 January 2019. 14 Jan 2019 - ASC issues revised SFRS(I) and FRS Conceptual Framework for Financial Reporting and related Amendments to SFRS(I)s and FRSs. 9 Jan 2019 - ASC submits comment letter to IASB on DP/2018/1 Financial Instruments with Characteristics of Equity. ASC website will be undergoing scheduled maintenance on 23 March 2019 (Saturday), from 1800hrs to 24 March 2019 (Sunday), 0200hrs and will not be available during this period. We apologise for any inconvenience caused.